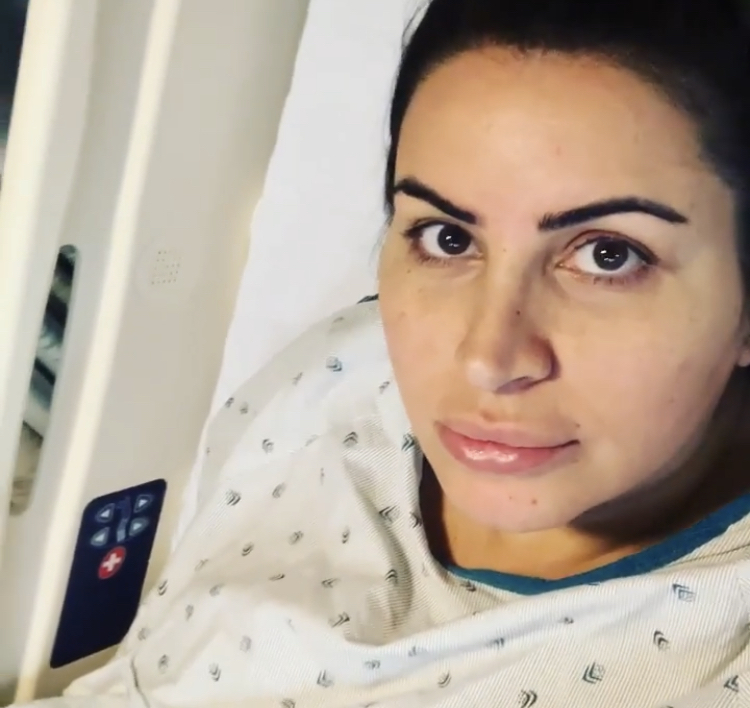 Life seemed to be going smoothly for Shahs of Sunset star Mercedes “MJ” Javid. She got married to the man of her dreams, Tommy Feight. Then she and Tommy wanted to have a baby, so MJ went through IVF and was able to get pregnant. All good news, right? A few months into her pregnancy, MJ opened up on social media. She revealed that she was put on mandatory bedrest. This happened during Tommy’s birthday no less. More recently, things got worse again for MJ and she ended up in the hospital. The last season of Shahs of Sunset focused on several storylines involving Mercedes “MJ” Javid and Tommy Feight. One being the preparation of their wedding, and two being their journey on starting a family. The wedding ended up being absolutely beautiful, and was as colorful as the couple is themselves. Only MJ could pull off thanking her guests for being at the wedding as she walked down the aisle. She even told Tommy to “shut the f*ck up” during their vows. True love is a beautiful thing. Last night Shahs of Sunset concluded with Part Two of the reunion. Let me tell you, the Shahs of Sunset crew did not hold anything back! This episode has everything from shocking accusations about cast member Destiney Rose to even some surprising news for the group. How did the drama unfold? Did good friends leave as enemies? 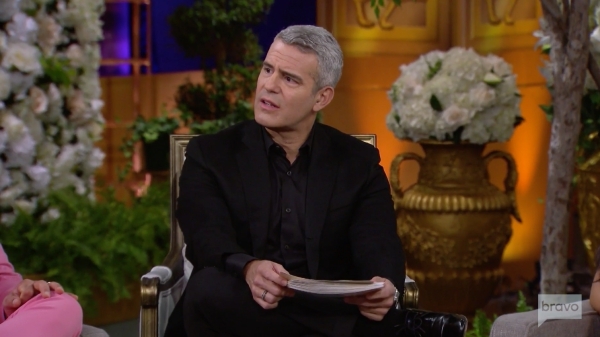 The Shahs of Sunset Season 7 reunion continues tonight. Of course, the crew recounts Mercedes “MJ” Javid’s sh*t show of a unconventional wedding to Tommy Feight. Does she have any regrets? Believe it or not, she does. Then again, she did tell her now-husband to “shut the f*ck up” mid-wedding vows, regrets are warranted. What else can we expect from tonight’s episode? Nearly all of Lisa’s Vanderpump Rules cast was there to celebrate: Kristen Doute and Brian Carter, Brittany Cartwright and Jax Taylor, Scheana Marie, Stassi Schroeder and Beau Clark, Katie Maloney and Tom Schwartz, Lala Kent and Randall Emmett and more! But no LVP from what we see in the agency pics. Also there to take part in the event: Shahs of Sunset star MJ Javid and her husband Tommy Feight, former RHOC star Gretchen Rossi, former Flipping Out star Jenni Pulos. The Real Housewives of Dallas stars LeeAnne Locken and Kameron Westcott made the trek to Hollywood to support the cause. Even Real Housewives of New Jersey star Melissa Gorga turned up. 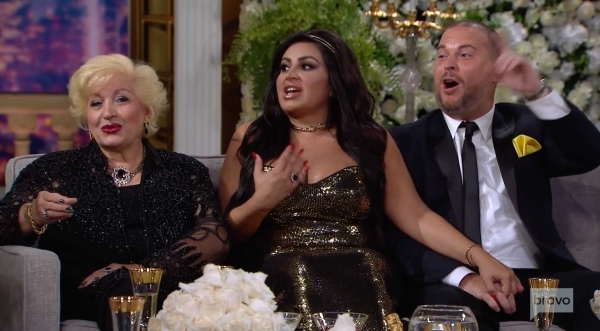 Shahs of Sunset Season 7 Finale Recap: It’s Time for a Wedding! 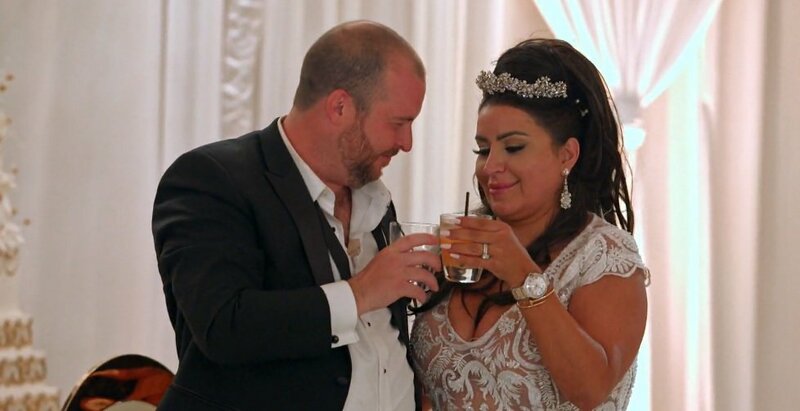 Here we are: the Shahs of Sunset Season 7 finale, it’s time for the wedding of Tommy Feight and Mercedes “MJ” Javid! The show opens with MJ’s flashback as if this season was all a dream — the wedding dress fiasco, the prenup, driving around writing checks, seeing her childhood friend, etc. — but then she said it turned into a nightmare with her rehearsal dinner speech and Tommy making fun of her. That’s accurate, but it’s peak Shahs of Sunset. She ‘snaps out of it’ and it’s her wedding day! She’s worried that Tommy is going to be drunk for the entire wedding — a fair concern, of course. Tommy starts his day off taking a shot of vodka and tequila. He bought all the groomsmen Jordans to wear with their tuxes — ‘New York City flair’ he called it.